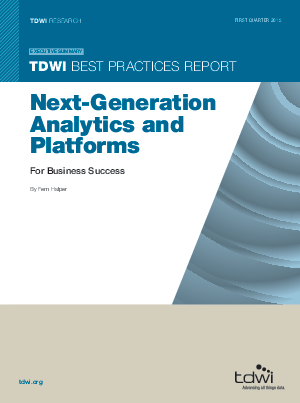 This TDWI Best Practices Report focuses on how organizations can and do use next-generation analytics. It provides in-depth analysis of current strategies and future trends for next-generation analytics across both organizational and technical dimensions, including organizational culture, infrastructure, data, and processes. It examines both the analytics and infrastructure necessary for next-generation analytics. This report offers recommendations and best practices for implementing analytics in an organization.